NEW YORK Hostess Brands, the maker of Twinkies Ding Dongs and other snacks, has received approval from a bankruptcy court judge to wind down its business and sell all of its assets. The ruling came Wednesday after Hostess failed in last-ditch negotiations to end a strike by its second-largest union. 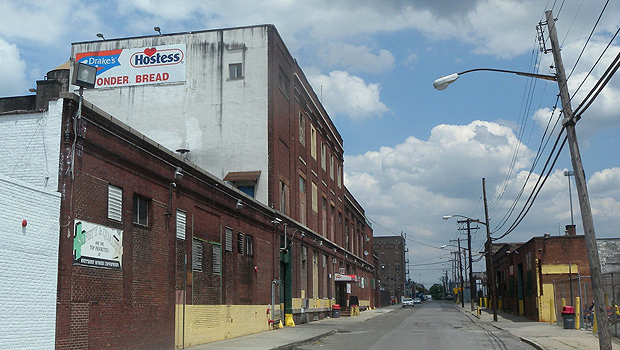 Hostess blamed the company's collapse on striking employees belonging to the Bakery, Confectionary, Tobacco Workers and Grain Millers International Union. "Hostess Brands is winding down the company after a nationwide strike initiated by the BCTGM that commenced on November 9 crippled its operations at a time when the company lacked the financial resources to survive a significant labor action," the food giant said in statement. The bakers union denies responsibility for sinking Hostess. It attributes the company's failure to management errors, claiming in a statement earlier this month that Hostess' "six management teams over the last eight years were unable to make it a profitable, successful business enterprise." After the court-ordered mediation talks ended unsuccessfully on Tuesday, the union called the company's closing a "tragic outcome." Hostess now has the green light to terminate the jobs of its 18,000 workers and sell off its brands. CEO Gregory Rayburn said the company will send out termination notices to its employees on Wednesday. "Those employees now need to look for work," he said. Hostess said it intends to keep roughly 3,200 employees on the payroll to help with the first phase in the company's liquidation. It expects to eliminate 94 percent of its workforce over the next four months and to complete the wind-down in a year. In court Wednesday, Hostess said it needed to begin the liquidation process quickly to take advantage of outside interest in its brands, which a banker said could fetch up to $2.4 billion. That's about how much they generate in annual sales. Twinkies sales alone have brought in roughly $68 million so far this year. The banker, Joshua Scherer of Perella Weinberg Partners, told the court that interest in Hostess' brands has come from companies ranging from regional bakers to major national retailers that have long sold Hostess products. "This is a once-in-a-lifetime opportunity to get iconic brands separate from their legacy operators," Scherer said during the bankruptcy-court hearing in White Plains, N.Y.
Hostess, based in Irving, Texas, has been spending about $1 million a day in payroll without any income since it halted operations last week. The company shut down its three dozen plants late last week after it said the strike by the bakery union hurt its ability to maintain normal production. Management had said Hostess was already operating on razor-thin margins and that the strike was the final blow. The union pointed to the steep raises executives were given last year, as the company was spiraling down toward bankruptcy. In announcing the court's decision, Hostess reiterated that its "inflated cost structure" put the company at a competitive disadvantage. It said most of those costs stemmed from collective bargaining agreements covering 15,000 of its employees. Despite its closure, Twinkies and other of the company's products could still return to store shelves. The company has said several potential buyers have expressed interest in its brands.